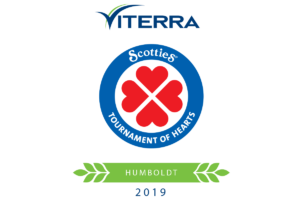 The only two remaining undefeated teams hit to the ice this evening at the Humboldt Curling Club, as Draw 5 concluded this evening. 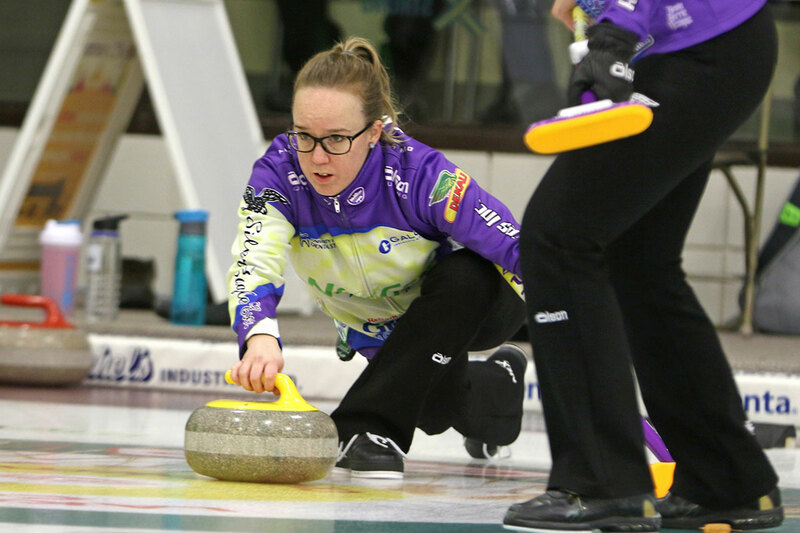 It was Saskatoon’s Sherry Just getting on a roll early this week with her brand new team this year, stringing four wins in a row and meeting up with Team Robyn Silvernagle, coming off a strong performance at the Grand Slam of Curling prior to the Viterra Scotties. The turning point in this one was a steal of one & steal of two for Silvernagle in ends 6 & 7, leading to the 7-3 victory after 9 ends! Just will now take on defending champion skip Sherry Anderson, who sits at 2-2 having the bye in this evenings draw! While Silvernagle will go toe-to-toe with Holland, who also earned her fourth win tonight! Some great match-ups coming your way tomorrow afternoon. Team Silvernagle’s second Jess Hunkin delivering her stone (Photo, Devan Tasa/Tisdale Recorder). Deb Lozinksi, lead for Team Holland, delivers her stone during Day 2 action (Photo, Devan Tasa/Tisdale Recorder). 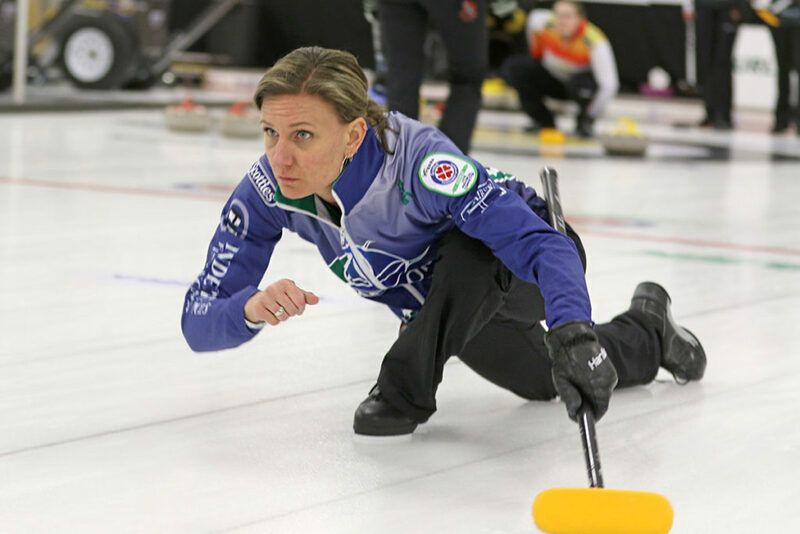 Former Canadian Champion Amber Holland and her team out of the Regina Callie Curling Club, dropped a 9-7 decision back in Draw 1 to Just, but have rallied together four straight wins to put themselves in a good spot heading into Day 3! Including an extra end thriller tonight against Penny Barker after giving up a score of three to Barker in the 10th! She will be in tough tomorrow afternoon as she will take on the 4-0 Silvernagle rink to determine who will sit atop the round robin standings heading into the evening draw. Other teams that picked up wins tonight were Team Ashley Howard (extra end win over Team Jessica Mitchell) & Team Kristen Streifel (8-2 victory over Team Chantelle Eberle). Good Luck & Good Curling to all teams heading in to Day 3.